The game of basketball has been around since the late 1800s and is considered as one of the most widely recognized sport in the whole world. It’s a sport that requires endurance, agility, and a lot of quick thinking. When people hear the basketball, they will almost always think of the NBA, which is the biggest basketball league today. Just like most sports, the goal of winning the game is for the team to have more points than their opponent. But individual awards or recognition also apply to players who can make the most contributions to the game, and by contributions, it could mean points, blocks, steals, or rebounds. 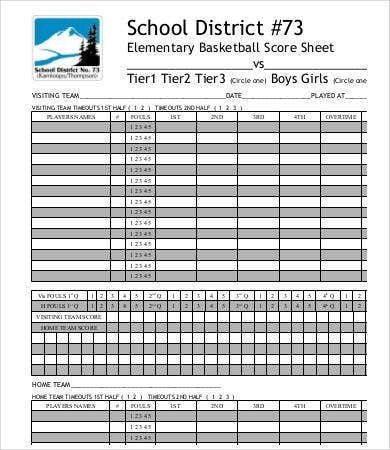 And to keep track of these, a score sheet should be utilized, and you can make use of our score sheet template for your convenience. Basketball was invented by Dr. James Naismith in 1891 during his time as a teacher in physical education at the YMCA in Springfield, Massachusetts. He invented the game to keep his class busy and active. He decided to make it an indoor game because during the time, it was winter season and they did not want to play outside because of the cold weather. The original equipment used by Dr. Naismith were peach baskets nailed to a pole and a soccer ball. And there were only 13 rules in the original basketball game. 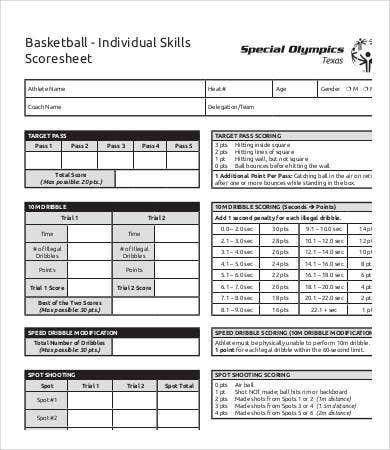 The first time basketball was played as an Olympic sport was on 1936 in Berlin, to which Dr. Naismith was able to witness. 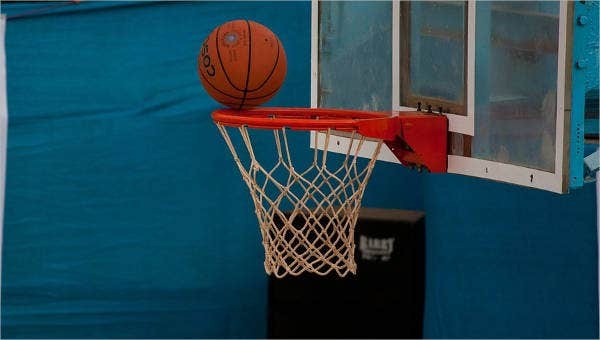 There were originally two basketball leagues: the National Basketball League and the Basketball Association of America, which were merged to be become today’s National Basketball Association. Nine players for each team used to make up a basketball game. Today, only five players for each team are allowed on the court. 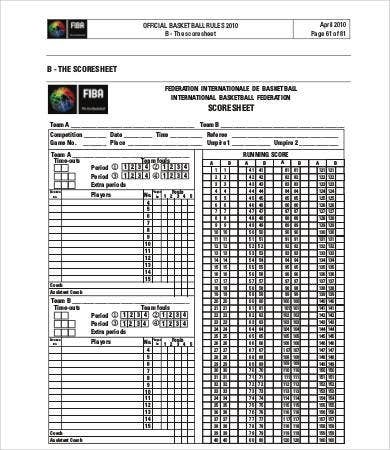 Dribbling was never part of the rules in the original game. It was only included in the 1950s when the modern basketball was invented. The basketball will bounce more if exposed to warm weather than in cold weather. There used to be an option as to which player will shoot the free throw. This was changed in 1923, wherein the person who was fouled will shoot the free throw. All NBA uniforms are manufactured by Adidas. Spalding officially makes the basketballs for the NBA. There are 122 bumps per inch on a Spalding basketball. 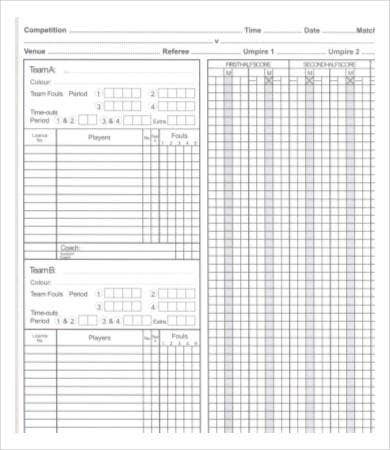 For templates on goal sheets in general, to be used for any sport, you can check out our collection of Goal Sheet templates. 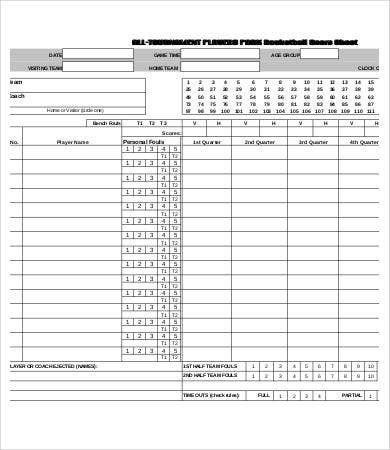 So if you’re looking for score sheet templates for basketball, then you don’t have to look anywhere else because we got it all for you. 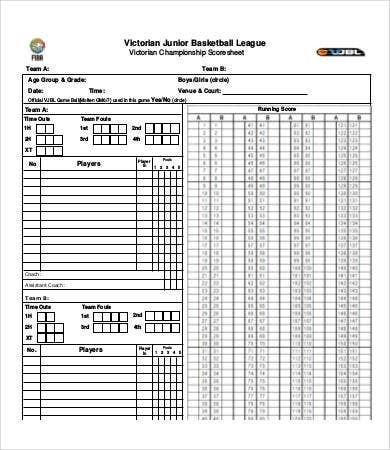 We have various kinds of templates here on our website. 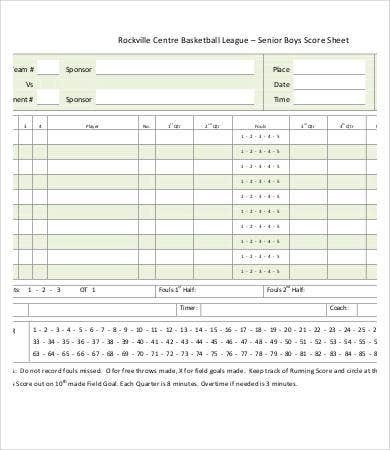 We have individual score sheets, basketball league score sheets, and even generic score sheets to name a few. 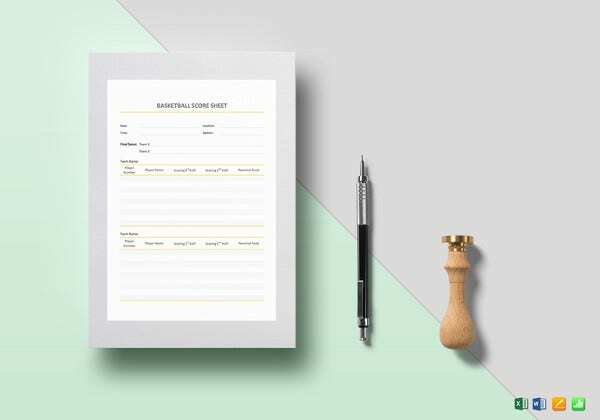 You can download any of these templates for free. 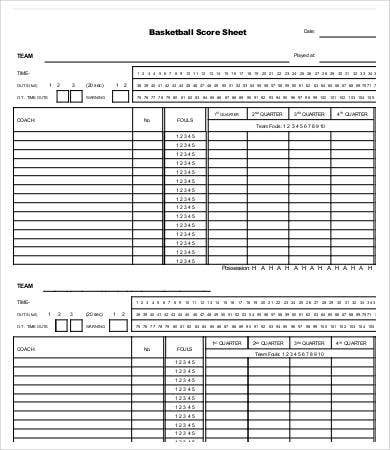 These templates come in high-resolution PDF format to assure you of clear and legible prints. 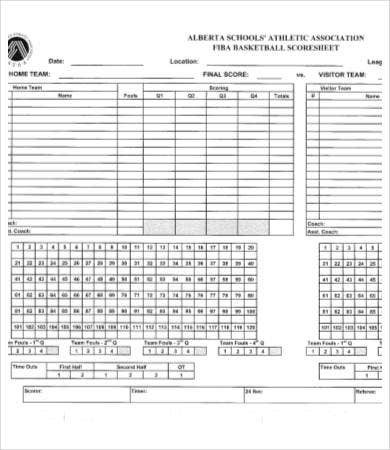 For track and fielders, we also have our collection of Run Sheet templates to keep track of your progress. But if you weren’t able to find what you were looking for on this page, the proceed to the bottom and check out the links to other related content on our website.